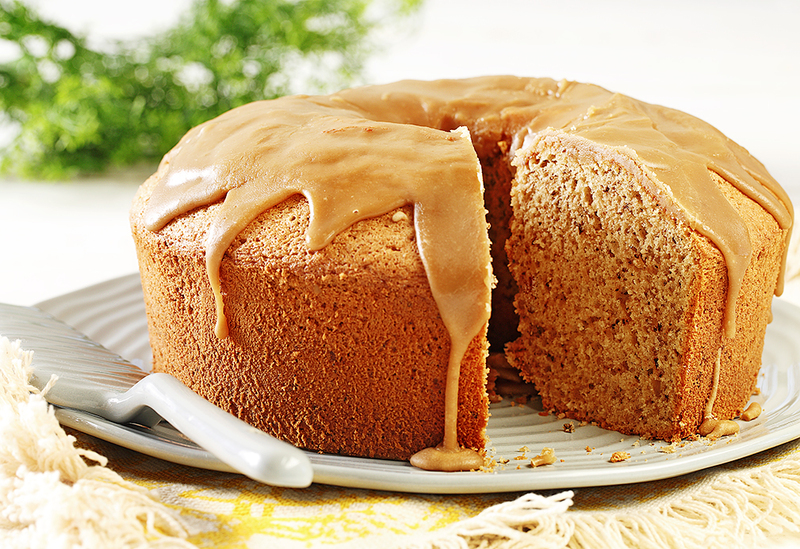 Typically an Amish dessert, and not really a pie. Mostly like cupcake tops that are sandwiched with a filling. These are extremely moist. Kids will love these and so will the parents at a holiday event. 1. Prepared whoopie pie pans by spraying with canola oil, set aside. 2. Preheat oven to 350°F (180°C). 3. In a medium bowl, stir flour, soda, baking powder and salt. Set aside. 4. In a large bowl, blend brown sugar, milk, canola oil, egg, lemon juice and vanilla. Add flour mixture and blend until fully incorporated. 5. Remove about 1/4 cup (60 mL) of the mixture and add red coloring, then swirl the red mixture back into the mixture so you can see all of the swirls. 6. Place about 1 1/2 Tbsp (20 mL) of the mixture into each whoopie cavity. Place in preheated oven, bake until firm to the touch, about 12 to 15 minutes. Cool completely. Meanwhile make filling. 1. In a medium bowl, with a hand-held mixer, cream cheese and oil together. Add icing sugar and whip until fluffy, about 3 minutes. 2. Take a few tablespoons of the filling and sandwich two of the whoopie pies together. Press them together so filling comes out. Press crushed candy canes into the sides. 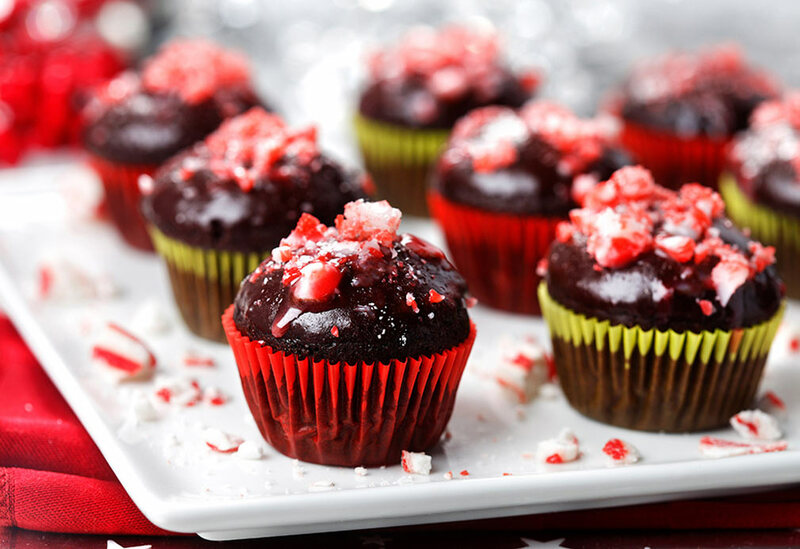 Ring in the season with peppermint-topped, chocolate cupcakes. Canola oil makes the cupcakes light and fluffy. 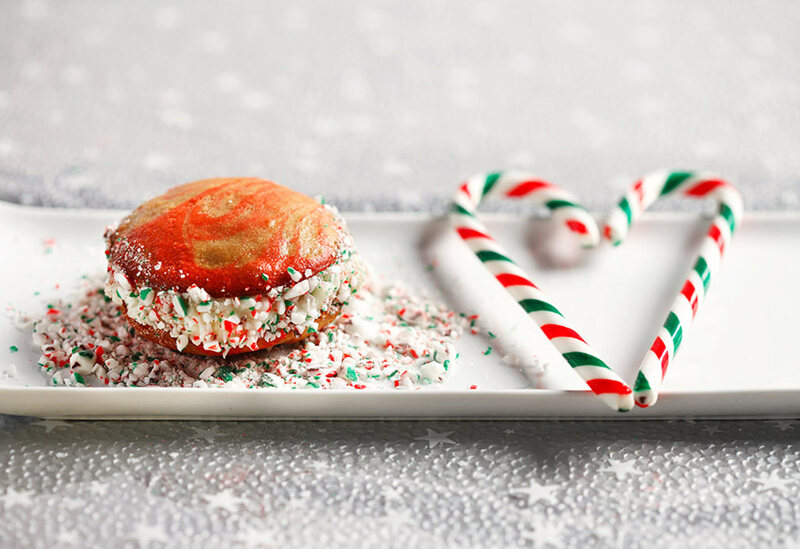 These bite-sized, mouth-watering treats will get your guests in the mood to celebrate the holidays in style! 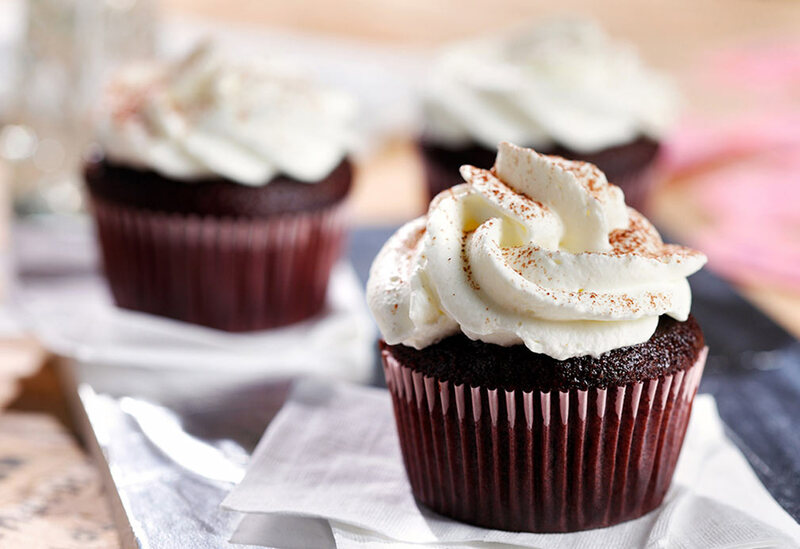 Devil's food chocolate cupcakes are topped with a light and fluffy frosting. Canola oil in the cake batter keeps them tender.